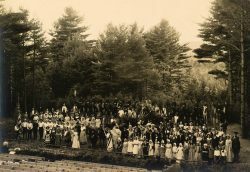 We have a huge photograph collection at the Monadnock Center. Having the opportunity to see so many historic photographs is one of the things I like most about my job. I thought others might enjoy seeing some of my favorites from the collection so I will be posting “Michelle’s faves” from time to time. 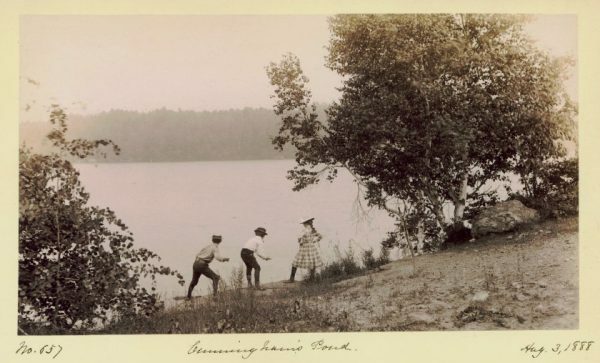 To get things started, here is a photo of children skipping rocks on Cunningham Pond taken on August 3, 1888. The photographer, Robert Swain Morison, was a summer resident and a descendant of Peterborough’s early settlers. His children Ruth and Abbott frequently served as the subjects of his beautiful and lyrical photographs. I will definitely be posting more of Robert’s photos in the future.